Smartling’s Translation Management System has eliminated a number of daily localization tasks, once required of our engineers, freeing up their time to work on other projects. Before the Internet, it was much more difficult to plan a party, find the right recipe, or put together the perfect outfit. But now with the help of Pinterest, it’s much easier to discover and execute on these things. Pinterest helps people to discover what they love and inspires them to incorporate those things into their everyday lives. As a service, the company strives to offer a universal experience for its 100 million users, known as Pinners, regardless of language or location. 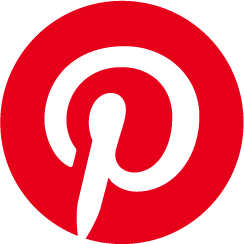 Previously, Pinterest had been using a localization tool to manage its translation and localization process. The company was looking for a state-of-the-art technology solution that could facilitate both speed and quality, while scaling to meet its growing needs. Pinterest wanted translation management software that would ensure consistency across every version of its site, offer a lightweight process for its engineers, streamline the translation and localization process, and was able to integrate via APIs, thus reducing the error margin, while guaranteeing timely turnarounds. Ultimately, Pinterest selected Smartling’s Translation Management System because it is flexible, can scale to meet fluctuating translation needs, automates and streamlines the translation process, and integrates with Pinterest’s Drupal instance. “With Smartling, we were able to systematize the various platforms we had deployed – such as mobile, web, and static sites – and unify them into a single process, thus reducing our time-to-market,” recalls Oviedo López. Impressive Results Pinterest soon enjoyed impressive results by using Smartling’s Translation Management System. For example, the company has been able to reduce its translation time-tomarket from 48 hours to less than eight hours. Going forward, Pinterest will continue to focus on quality for each of the 31 languages its content supports, and the company plans to deepen its presence in key markets. As Pinterest continues to grow, its international user base will ultimately result in a richer experience for all Pinners.